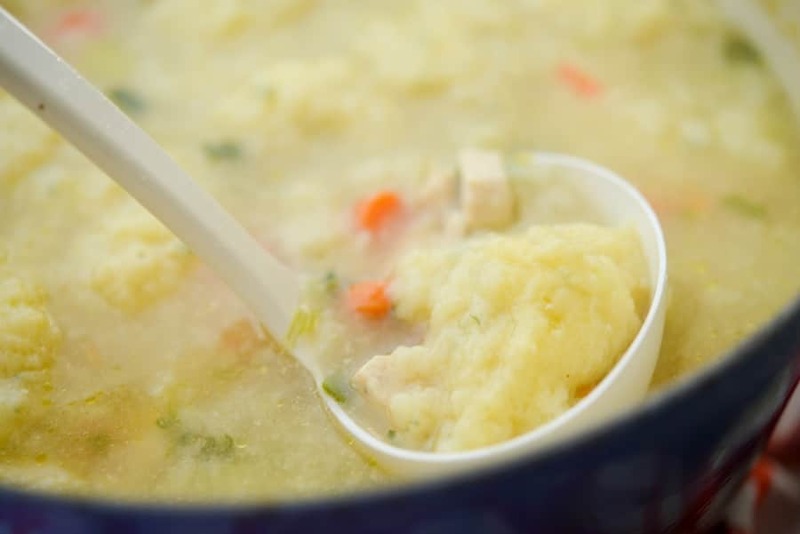 This Chicken and Dumpling Soup made with boneless chicken breasts, vegetables and homemade dumplings will definitely warm your soul on a cold day. 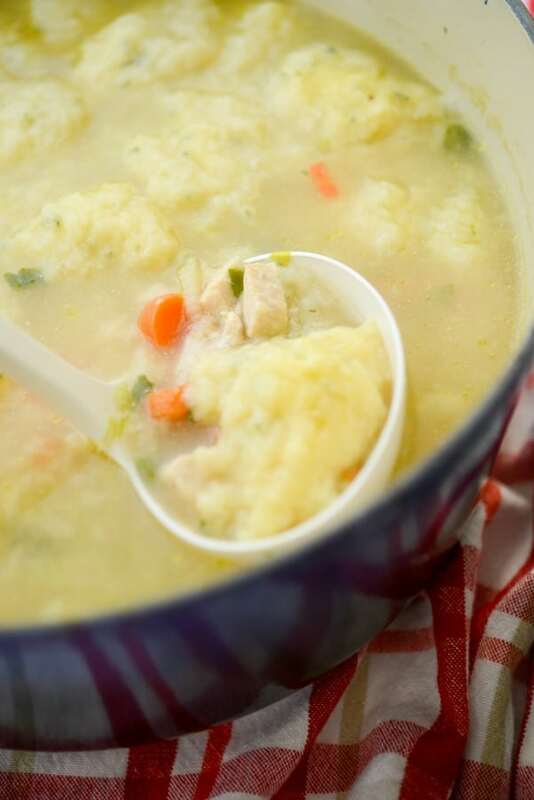 Though I make homemade chicken soup quite often, I’ve never made Chicken & Dumpling Soup. 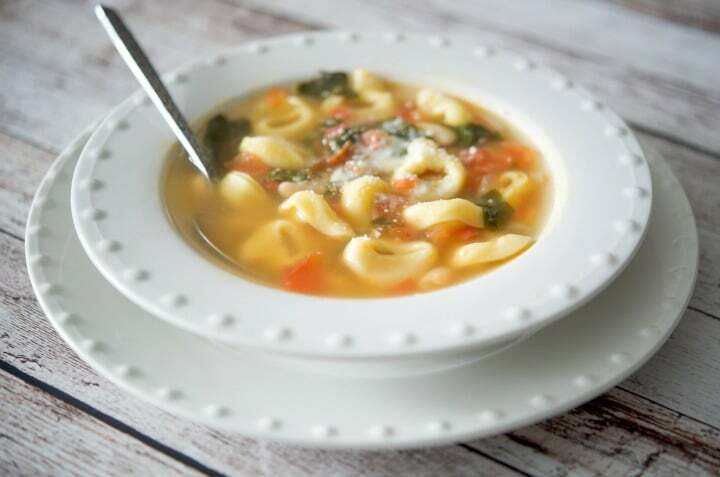 So at the request of my husband (who came down with a really bad cold last week) I made him a big batch of this soup. 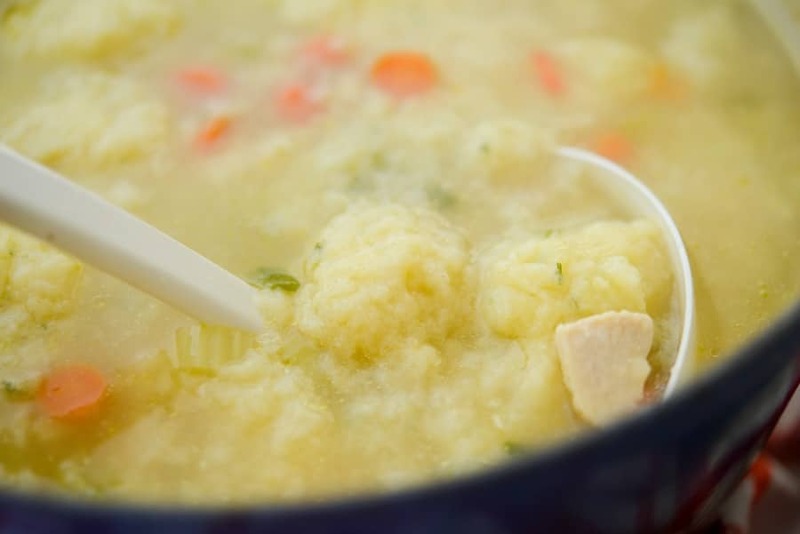 The trickiest part of making dumplings (for me anyway) was to figure out how much to drop into the soup as they do expand. Until I got the hang of it, I had quite a few different size dumplings floating around in there and some were so big that they broke apart. 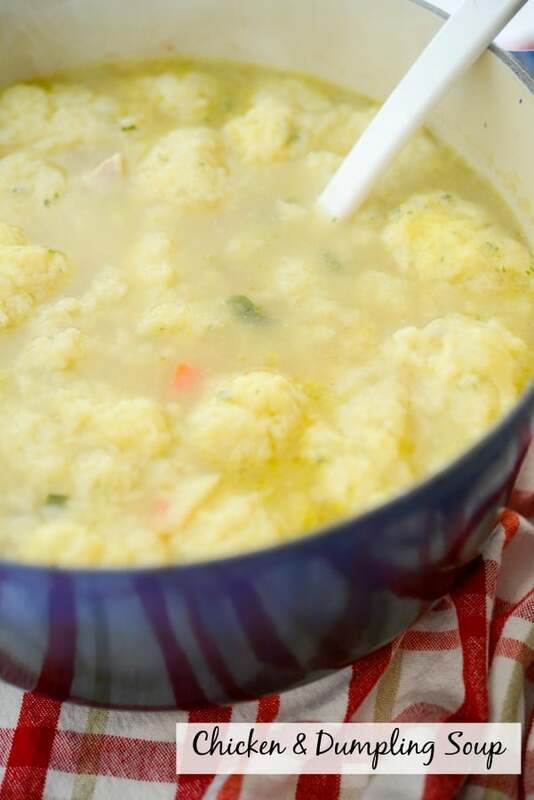 But thankfully, this soup still tasted great and the dumplings were so light and airy. 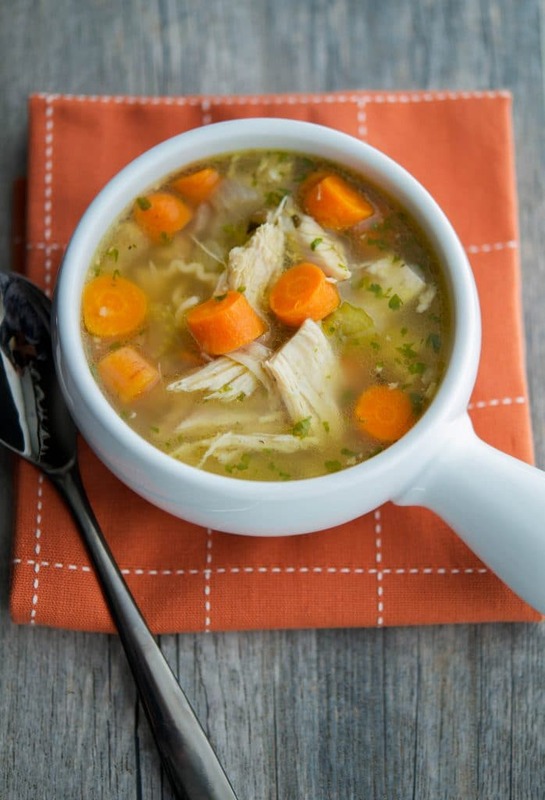 For this soup, I cooked boneless chicken breasts cut up into small pieces in my Dutch oven (or large pot) with a little oil; then added some chopped carrots, celery, and scallions once the chicken was cooked through. Next, I added unsalted chicken stock and water. While I was waiting for the soup to come to a boil, I made the dumplings by combining all purpose flour, baking powder, Kosher salt, parsley, oil, an egg yolk and milk. 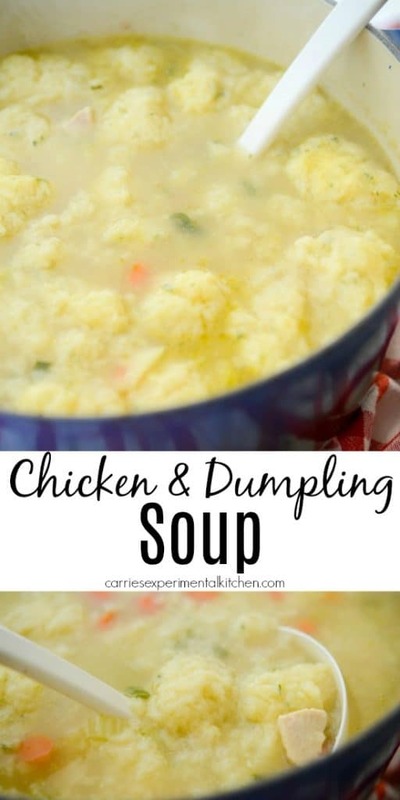 After mixing the dough, I dropped a 1/4 to a 1/2 tablespoon of the dough into the soup and watched the dumplings form and float on top. 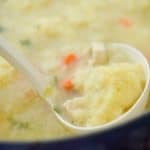 This Chicken & Dumpling Soup was delicious, so easy to make and quick too! In fact, it only took about 30 minutes from start to finish and made 10 cups so there was plenty to save as leftovers for the week. 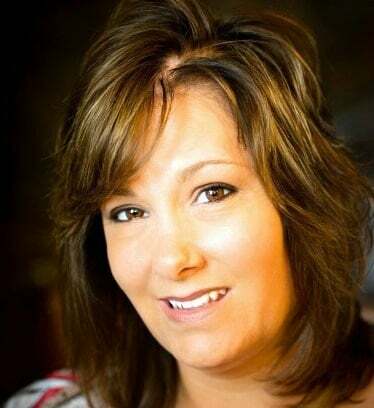 ~Enjoy! Heat the oil in a Dutch oven or large pot; then add the chicken and cook until no longer pink. Next, add the carrots, celery, and scallions and cook until they start to soften; then add the chicken stock and water and bring to a boil. 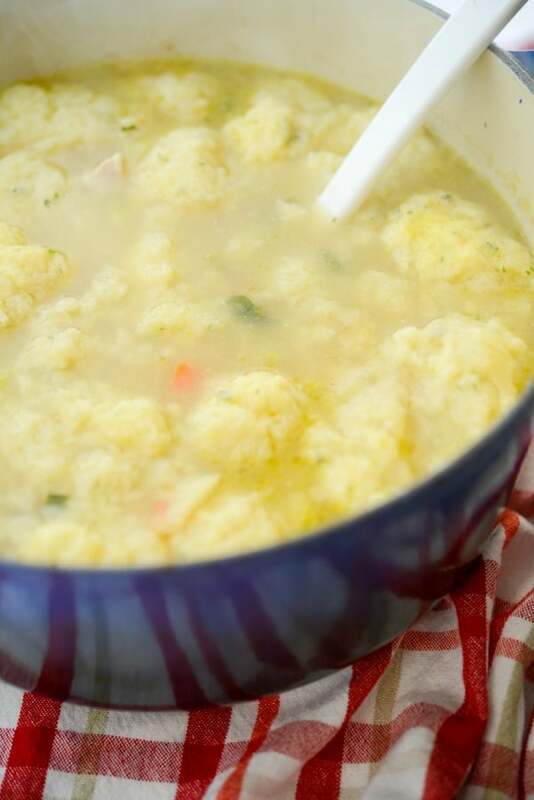 Drop a 1/4 to 1/2 tablespoon of the dumpling dough into the soup. The dumplings are cooked with they puff up and float to the top. Season with salt and pepper to your liking. Combine all of the ingredients until mixed through. 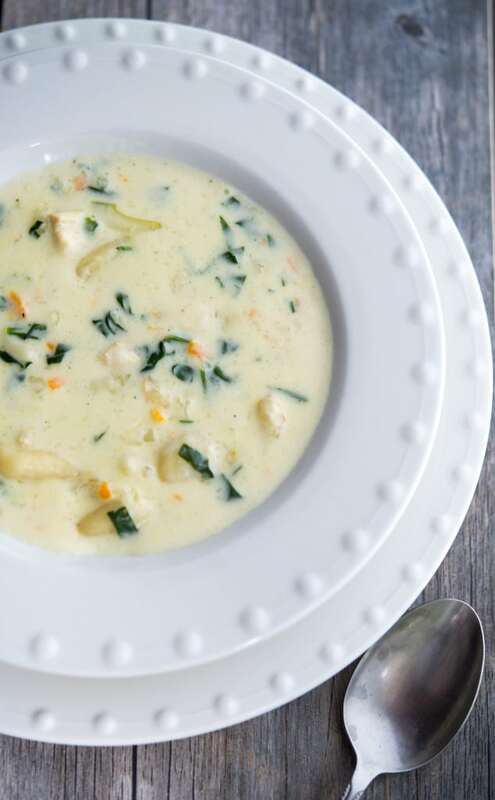 For more soup recipes, visit the Recipe Index or my Pinterest board!